A small wildfire burning about 6 miles away from Coachella poses no threat to the music festival, authorities say. (CNN) - Coachella is heating up, and it's not just because of Beyonc's historic Saturday night performance. A small wildfire broke out about 6 miles away from the music festival Sunday, according to the Riverside County Fire Department, but was 100% contained by the afternoon, having consumed 15 acres. 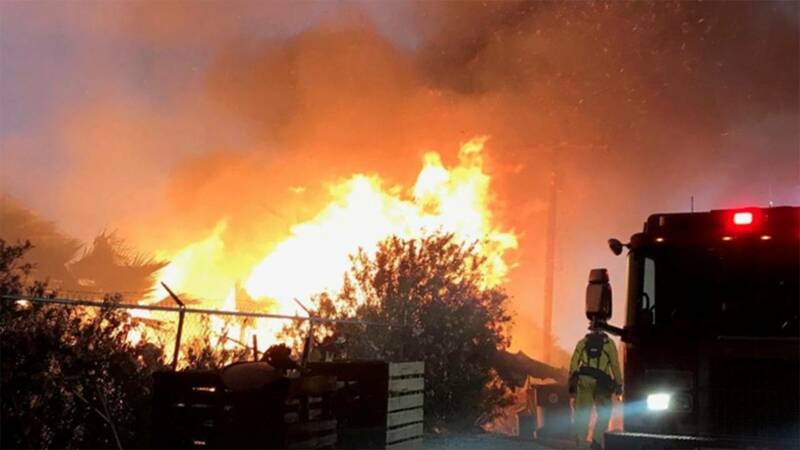 Officials with the California Department of Forestry and Fire Protection determined that the fire was human-caused, but said they are still investigating. Just over 100 firefighters battled the vegetation fire, according to an incident report page on the fire department's website. Authorities told CNN the fire posed no threat to the Coachella music festival. No injuries were reported and no evacuations were ordered. Windy conditions in the area could make battling the blaze more difficult. A high wind watch is in effect in the area, said CNN meteorologist Gene Norman, which could make containing the blaze more difficult. On Sunday, winds were blowing from 35 to 45 mph, with gusts up to 70 mph. The winds will strengthen into Sunday evening, Norman said, with the strongest winds expected Monday afternoon, before things calm down again on Monday night.